Your Sales staff are your feet-on-the-street. 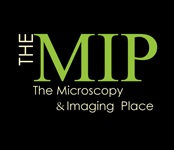 The MIP retains a list of and on-going relationships with a group of highly qualified distributors and technical sales staff. Commission only, these groups have strong existing customer bases, providing immediate grass-roots reach for your product. The MIP can recommend a sales channel which can cross sell with their existing products, bringing your products to market more rapidly, more efficiently, and at much lower cost. We screen, present (see below), define decision parameters, then support you in construction and closing of the dealer agreement. Need in-house sales staff? The MIP can also help you write the requirements, screen candidates, assist in defining the contract and closing the deal. 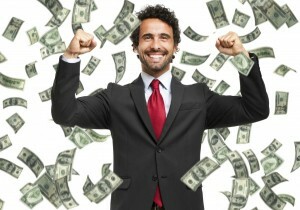 Veteran dealers are also veteran business people. They receive multiple offers every month to carry new products. What will encourage them to accept your product and represent it energetically? In many ways, they are like investors: they need to know the basics. What sets your product and company apart? What’s the target market? What are the key applications? What are the price points? Most importantly, what’s in it for them? The MIP can help. We can construct a Dealer PowerPoint (similar to an Investor Presentation) that hits all the key points. This presentation can also form the core of your business plan. Next, we will present to prospective dealers with you, on your behalf, adding The MIP’s power and credibility. As an added bonus, we’ll put out our 3+ decades of working with field sales to help you frame the dealer agreement. Our goal: ensure success, avoid risk. Sales folks often know enough about a product to be dangerous. However, with a little extra technical training, they could not only represent the company with greater professionalism, they could also be more effective in demonstrating and troubleshooting. Through MicroSpec-Onsite (a joint venture between our training division, Microscopy/Microscopy Education and Rogue Spectroscopyo), we offer fully customized, on-site training in all areas of microscopy and spectroscopy. Each of our technical consultants has a minimum of 15 years’ experience and are considered thought leaders in their respective disciplines. Because our courses are on-site, they save on travel budgets and minimize time away from the office. And, unlike conventional technical programs, courses from The MIP are “practical training with a strategic spin”… full of tips and hints that ramp up the sales process for success. One of the constant themes throughout this MIP website is the changing nature of the customer and the importance of staying in front of them with good quality information to help support the sales process. We build materials for your Sales Book with that goal in mind, helping your sales staff to stay in touch with their prospects in a meaningful way. Each Sales Book begins with a collection of essentials but is structured to grow dynamically as new content evolves. Another constant theme here at The MIP is communication. Communication with your sales team is crucial. It needs to be on-going and consistent. There is nothing worse than a salesperson dropping in on a customer and finding out… from the customer… that your company has just published a key article or some interesting application note. We’ve got the tools to help YOU keep you team humming and happy. Give us a call today (972-924-5310). Tell us about your sales situation. We can help. We are a small company that has developed a new product for light microscopy. With more expertise in science/engineering than marketing/sales we realized that we would need assistance if wanted to penetrate a broader market than we could ever reach with our own limited knowledge, talent, manpower, and resources. Our search for a consulting team with experience and knowledge in this specialized field led us to Barbara Foster and The MIP. Barbara and her team have been helping us craft and deliver our message. She has prepared a FlightPlan to guide us through the coming year of scientific conferences, media, and customer interactions. She has also made a connection to a major distributor that could give us an immediate international presence and active sales force.